ANKARA, Turkey (BugarianMilitary.com) – Turkey may do a new deal with Russia for the delivery of S-400 surface-to-air missile (SAM) systems if the United States eventually refuses to deliver to the country Patriot surface-to-air missile systems, learned BulgarianMilitary.com. This opportunity was announced on Wednesday in an interview with the NTV’s TV channel by the Turkish Minister of Foreign Affairs Mevlut Cavusoglu. “If the United States does not want to sell us “Patriot”, perhaps one of these days we will buy S-400 complexes or we will buy other air-defense systems”, the Foreign Minister said. At the same time, he called absurd the attempts by some countries to question the Turkey’s membership in NATO because of the delivery agreement of the S-400 SAM systems. 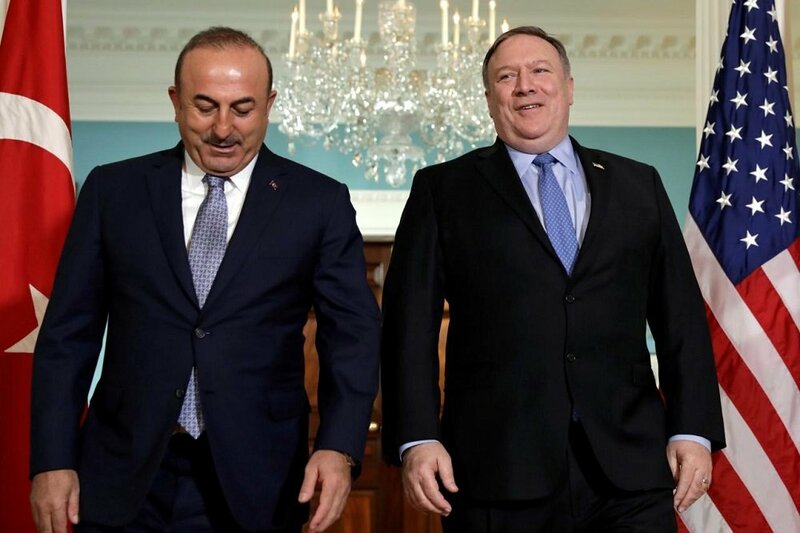 Cavusoglu also recalled the proposal made during his visit to the United States “to set up a technical operating unit to resolve disputes over the delivery of the S-400”. According to him, Ankara has not received an affirmative reply yet. Earlier, the US Department of Defense Spokesman Eric Pahon told TASS that the Pentagon was not considering the possibility of setting up a similar working group with Turkey. The Turkish Minister of Foreign Affairs also said that Turkey could had turned to any other country if the United States refused to deliver to the republic the F-35 fifth-generation fighters. “There are F-35s, there are Russian fighters. If we do not have the F-35, then we will have to satisfy our need for combat aircraft elsewhere, as long as we start producing our own aircraft”, he said. Cavusoglu recalled that the fourth F-35 fifth-generation intended for Turkey had been recently moved to the Luke Air Force Base in Arizona. On Tuesday, the US Secretary of State Michael R. Pompeo warned the Turkish authorities that after the deployment of the Russian S-400 anti-aircraft missile systems, Ankara would no longer be able to participate in the F-35 building and acquisition program.